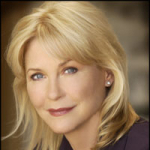 Originally from Kansas City, Kansas,Dee Wallace has worked as an author, teacher, dancer and actress in film, television and the stage for over 30 years. With over 100 credits to her name, Ms. Wallace is a true tour de force in this industry, working with countless directors, producers and some of Hollywood's biggest names including Steven Spielberg, Peter Jackson, Wes Craven, Joe Dante, Stephen King and Blake Edwards. Dee's career began in New York where she studied with famous acting teacher Uta Hagen before moving to Los Angeles where she continued to hone her craft with her mentor Charles Conrad. Her many feature film credits include such classics as The Hills Have Eyes, The Howling, Cujo, Secret Admirer, The Frighteners, 10, and most notably her starring role in one of America's most celebrated films, E.T. The Extra-Terrestrial, directed by Academy Award winning director and film icon Steven Spielberg. She was recently featured in the exciting new remake of Rob Zombie's Halloween. Her countless television credits only add more cache to an already illustrious acting career, with starring roles in over twenty Movies of the Week and four hit television series including her most recent portrayal as the passive aggressive matriarch in a very dysfunctional family on the 2006/7 ABC comedy "Sons and Daughters". Other most recent television credits include, "Grey's Anatomy," "Cold Case," "Without a Trace," "Ghost Whisperer," and a recurring role on "My Name is Earl." As a much sought after celebrity and renowned actress, Dee has appeared on every major news and talk show and has been featured on E! True Hollywood Stories, Oprah and The O'Reilly Factor. Her speaking engagements include numerous national and international venues including the Love and Harmony Forum in Tokyo, Japan; the Dillion Lecture Series; Unity Temple; the Kansas Film Commission; Spiritworks; Energetic Healing seminars throughout England, and her own healing and teaching seminars throughout the United States. On a weekly basis, Dee conducts numerous private healing sessions at her office in Woodland Hills, California. 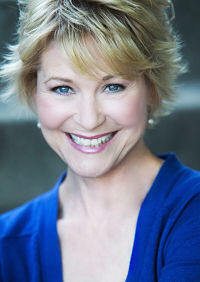 Dee Wallace is a rarity in Hollywood, a young actress who immediately found success and is still in demand three decades later as an accomplished veteran in her craft, with such major credits as ET: The Extraterrestrial and Cujo along the way. But she doesn’t attribute her staying power to her blonde Midwestern good looks or traditional acting methods. She credits the intuitive style of heart-centered acting that she tapped into at the very beginning of her career and which ultimately lead the way to her becoming a highly-regarded healer and spiritual teacher, as well as an in-demand actress. For the past decade, Wallace has blended her two careers, acting when the calls came, while simultaneously teaching the spiritual wisdom that she discerned through the perfection of her craft and her life experiences. Her new book, Bright Light: Spiritual Lessons from a Life in Acting (O Books, 2011) shares with readers the lessons she learned in her journey toward living an illuminated life. After a Kansas childhood strained by her father’s alcoholism and suicide, and watching her mother sacrifice her own dreams of performing to keep food on the table, Wallace graduated from the University of Kansas, and then headed first to New York for two years and then to Hollywood with a passion to act. No stranger to performing--having been a ballet dancer throughout her youth and student actress in college â€“ she found that everything aligned in her favor to jumpstart her acting career. Wallace attained almost immediate success, and in pursuing her career she eschewed traditional acting schools until she connected with Charles Conrad, who encouraged his students not to memorize, but to act from their intuitive instincts. This style of acting fit Wallace perfectly and opened her up creatively. This inner source would provide her wellspring of ability, and lead to significant roles in ET: The Extraterrestrial, Cujo, The Howling, Ten, The Frighteners, Critter and more than 130 movie roles; several series; 400 commercials and hundreds of television credits. She has most recently been seen on Grey's Anatomy; Cold Case; Without a Trace; Ghost Whisperer; My Name is Earl; Criminal Minds; Saving Grace; Law and Order, Los Angeles, and Detroit 1-8-7. Wallace continues to be one of Hollywood’s most sought-after TV guest stars. She has worked with some of Hollywood's biggest names including Steven Spielberg, Peter Jackson, and Blake Edwards. Not even half way through 2011, she has booked a dozen movie roles. Wallace also continues to be a favourite of the talk show circuit with appearances on Oprah and The O'Reilly Factor. In the early 1980s, Wallace actually shared the screen several times with her then husband Christopher Stone before his unfortunate, early demise from a heart attack in October, 1995. His death was a significant test of her spiritual faith and a crucible for growth. As Wallace applied what she had learned about following her heart and living from her intuition, she felt a natural inclination to share her wisdom both as an actor and spiritual teacher. She founded a very successful acting school, which taught life lessons, as well as acting, and then she began speaking around the world. She discovered her ability to help people heal their deep wounds, release their fears and limitations, and live a more satisfying and authentic life. She continues to work with people individually and through seminars, teleseminars and speaking engagements. As an inspirational speaker her engagements have included numerous national and international venues such as the Love and Harmony Forum in Tokyo, Japan; the Dillion Lecture Series; Unity Temple; the Kansas Film Commission; Spiritworks; Energetic Healing seminars throughout England, and her own healing and teaching seminars throughout the United States. Wallace has weekly international radio shows on Voice America and Awakening Zone networks and holds private healing sessions at her home in LA. As an author, Wallace devoted her first book, Conscious Creation, to the art of self-healing and she co-authored The Big E with Jarrad Hewett. Wallace has also been featured in or contributed articles for many other publications including People, US, Guideposts, Family, Awakening Zone, TV Guide, LA Times and the Washington Post. Her new book Bright Light was written with John Nelson, author of Starborn, Transformations, Matrix of the Gods, and The Magic Mirror, the 2008 COVR winner for the best New Age book of the year. It is already receiving rave reviews, just as Wallace has received throughout her acting career.